This recipe was inspired by a jar of organic apricot preserves I found clearanced at my local grocery store. The jar sat quietly in my pantry until I had a craving for something sweet. I googled a couple of recipes for inspiration and this is what I came up with. I could not be more happy with the results. It only took a few minutes to make. 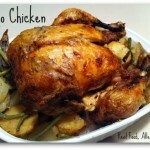 The chicken was tender and juicy and overflowing with sweet citrus flavor. We love Chinese food. In fact, we eat at a local Chinese buffet just about every Sunday afternoon. While they do have a few grilled items and fresh fruit, I can’t say it’s the healthiest place to eat. Most of the food is fried in who knows what, and it’s no secret that most Chinese restaurants use MSG in their food. I don’t even want to know what’s in that red sweet and sour sauce. 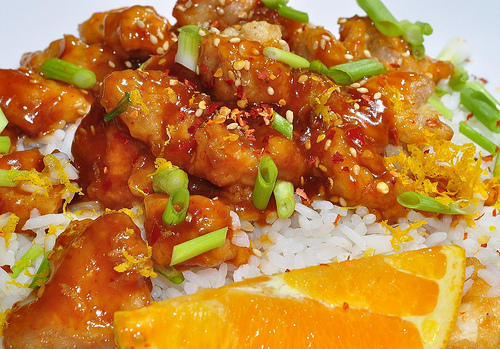 This recipe for orange chicken is just as good if not better than any take out. The chicken is tender and the citrus sauce is sweet and tangy. It’s made from natural ingredients and of course it’s gluten-free and allergy-friendly. It takes a little while to brown the chicken before tossing it in the slow cooker, but the results are worth it. If you skip this step, please let me know how it turns out. Who can resist a recipe with “Mojo” in it’s name? I found this flavorful Mojo chicken recipe at Run DMT and had to try it. I’ve tweaked the recipe for the slow cooker and added some veggies to complete the meal. Cooking the whole chicken in the slow cooker guarantees it’s going to be juicy, plus you don’t have to worry about the chicken drying out or burning. You can still have crispy skin by following the direction here. 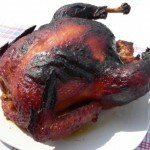 I hope you’ll try this chicken with pizaaz! Don’t forget to save your bones and make stock in your crockpot! Mojo chicken stock makes an absolutely delicious Mojo Soup (recipe here). 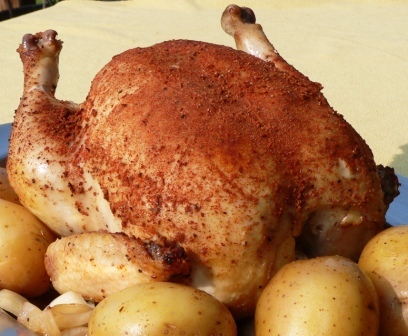 Here’s another great recipe for your whole chicken. As I shared before, cooking your chicken in the crockpot produces tender, fall off the bone chicken. The longer you cook it, the more it will fall apart. If you want yours to keep it’s shape like the one in my picture, start checking for doneness after 6 hours. This chicken is full of lemony-garlic flavor. It has just the right amount of lemon flavor. You can taste it but it is not overwhelming. My kids love it. I lost track of how many helpings my five year old had tonight. This would also be divine served with garlic mashed potatoes or rice. I think next time I make this I will try adding green beans with the onions. Make sure you go heavy with the seasonings or the flavor won’t penetrate the skin. Don’t forget to save the bones for homemade stock with a hint of lemon. I use the broth to make rice. Yum! 1. Place onions in crockpot. 2. Place the chicken on top of onions. 3. Pour or squeeze lemon juice over chicken. Try to get some juice in the cavity. 4. Heavily salt and pepper the chicken outside and inside. 5. 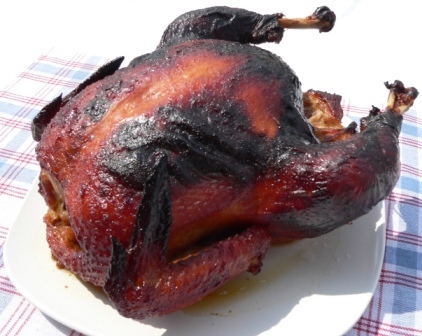 Sprinkle garlic powder outside and inside of bird. 6. Liberally sprinkle rosemary over outside and inside chicken. 7. Cover and cook on low 8-10 hours. 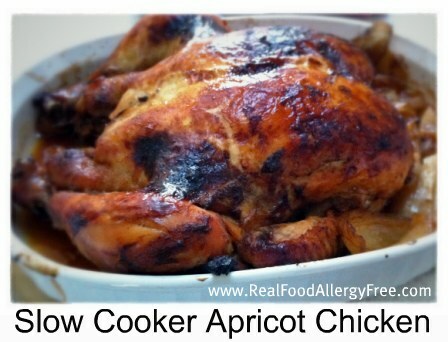 UPDATE: Be sure to check out this post on How to Have Crispy Skin in the Crockpot. I haven’t tried it on this particular recipe yet, but I’m sure it would work. This recipe is based on this recipe at A Year of Slow Cooking. Homemade meat stocks are a traditional food that not only add flavor to meals but also add significant nutritional punch. For centuries chicken stock, a.k.a. Jewish Penicillin, has been served to the ill. Unfortunately, these days most Americans purchase boneless cuts of meats and have lost the skill of creating this healing liquid. Properly prepared stock contains high amounts of calcium, magnesium, potassium, gelatin and electrolytes. The stock is gentle on the stomach and the nutrients are easily absorbed. Homemade stock is the cornerstone to the GAPS Diet, a diet designed for natural digestive healing. According to Dr. Campbell-McBride, “Meat and fish stocks provide building blocks for the rapidly growing cells of the gut lining and they have a soothing effect on any areas of inflammation in the gut.” It’s no wonder that stock has been recommended for cold, flu and just about whatever ails you for centuries. Yay! I picked up my first locally raised pastured chicken of the season this weekend. If you’ve ever watched Food, inc. or read Nourishing Traditions , you know why this is important to me. If you haven’t checked out these two resources, you should! Cooking these birds in the CrockPot produces tender, moist, fall off the bone chicken. 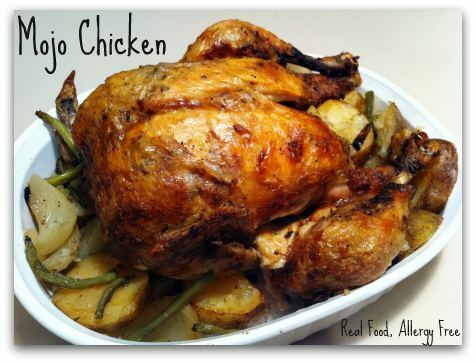 This is my favorite recipe for whole chicken. It also makes the best stock, so save your bones! 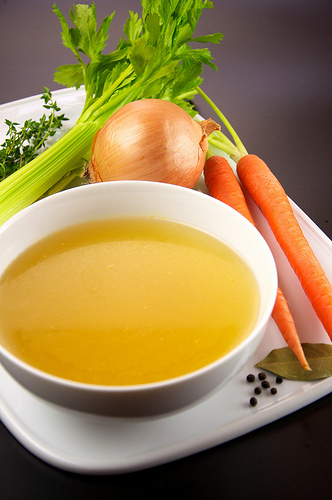 You can read how to make chicken stock here. 1. Combine spices in a small bowl. 2. If necessary, remove giblets from inside of chicken. Rinse inside and outside of chicken and pat dry with paper towels. 3. Massage chicken with spice mixture. 4. 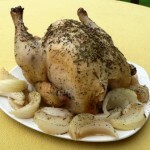 Place onions and potatoes in the bottom of the CrockPot and lay the chicken on top. I usually put some onions inside the chicken too. 5. Cover and cook on low 4-6 hours or until chicken is falling off the bone. 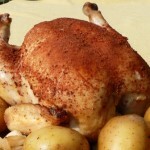 The original recipe found at food.com recommends rubbing the spices on the chicken the night before you plan to cook it. I am never that organized and I think it is awesome without that step. 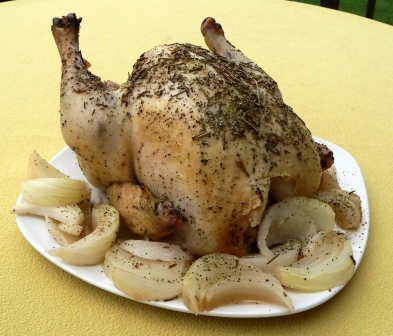 UPDATE: Be sure to check out this post on How to Have Crispy Skin in the Crockpot. I haven’t tried it on this particular recipe but I’m sure it would work.